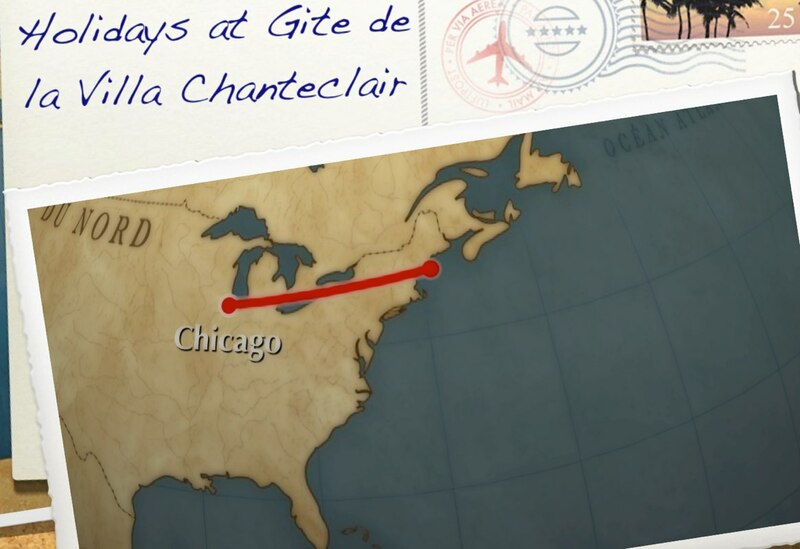 J-7 : Chicagoan friends, we wait for you ! In a week from now, our cottage will be opened ! Chicagoans, we want to share with you our nice cottage ! • Because we love this amazing city where my brother lives with his family. • Because our cottage is decorated with pictures of the Windy city, taken by my mother when she used to live in Chicago. 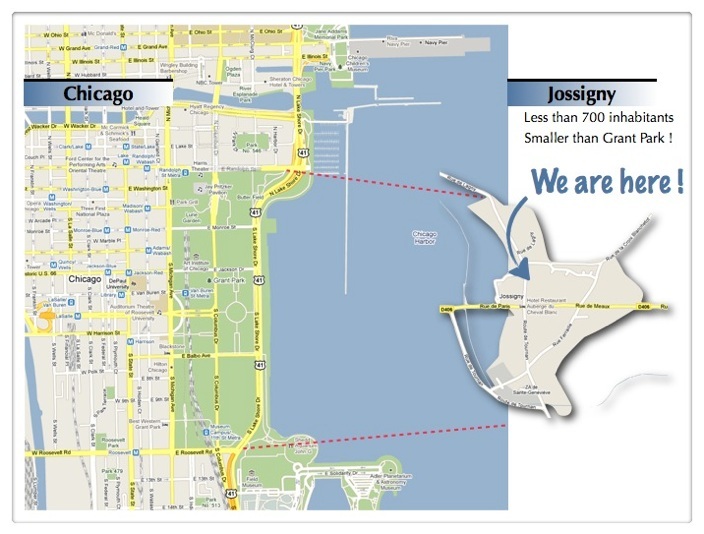 • Last but not least, because our village Jossigny and Chicago are so different that we would love to make you discover our countryside, Paris, DisneyLand Paris and wonderful other places nearby our cottage. Our village is smaller than Grant Park ! Get on a plane, and arrive in our cottage few hours ! Coming from Illinois to our cottage near Disney is really easy : you catch a plane in O’hare airport and few hours later, once you’ve crossed the Atlantic Ocean, get a cab or on board one of our high speed trains and few minutes later you’ll have reached our cottage. For more info, check our advices on this page. Coming in Jossigny, you’ll discover a french little village , in the middle of fields, with less than 700 inhabitants (far less than those huge comdos of downtown Chicago!!! ). 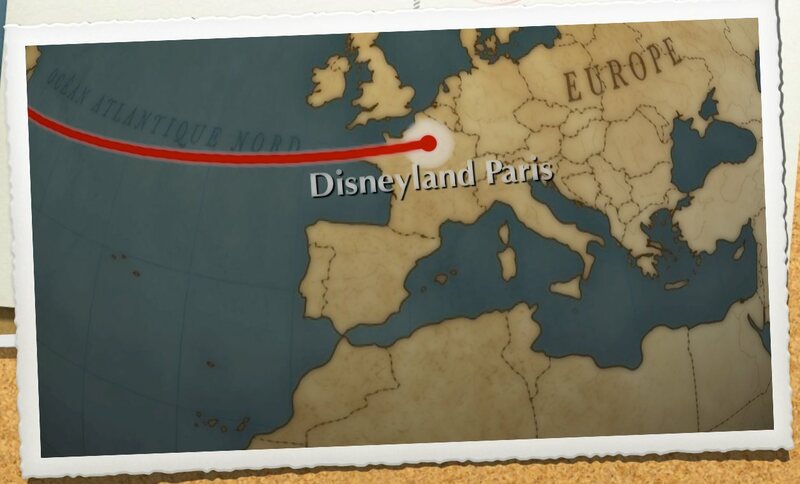 We are 10 minutes from Disney, less than 20 miles from Paris or from Vaux le Vicomte (the most awesome private castle in France). We’ll welcome you and share with you our love for animals and offer your children a free pony ride with our ponies Boule de Gomme or Lotus. Contact us and share this info with your friends!. Cottage + DisneyLand Paris + Ponies + Paris = the ideal formula for your holidays in France. Cet article, publié dans Gite, Jossigny, est tagué Chicago, disneyland paris, fields, fly, travel, village. Ajoutez ce permalien à vos favoris.